The winter storm has cancelled thousands of flights in many states across the nation. A weather event like a winter storm could not have come at a worse time: The United States is battling yet another natural disaster in a fortnight. 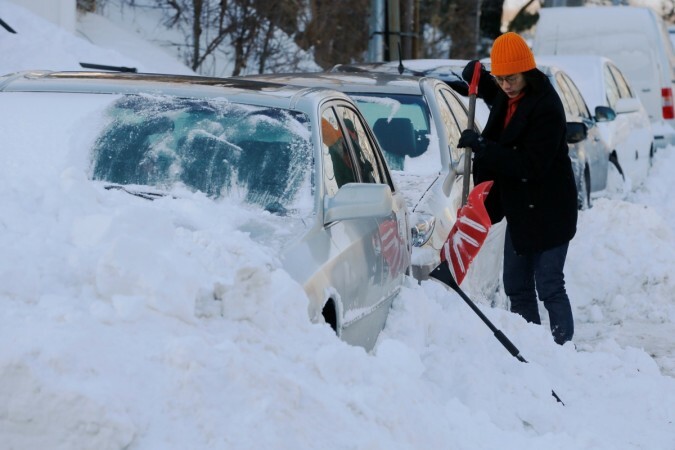 After having battered the state of Texas with frigid cold temperatures and snowy wrath, the winter storm Inga moved towards the Northeast states on Wednesday, disrupting travel all across. Weather experts believe the temperatures could drop as low as -200 Celsius in various part of the Midwest and Eastern states of the US, as per Metro reports. 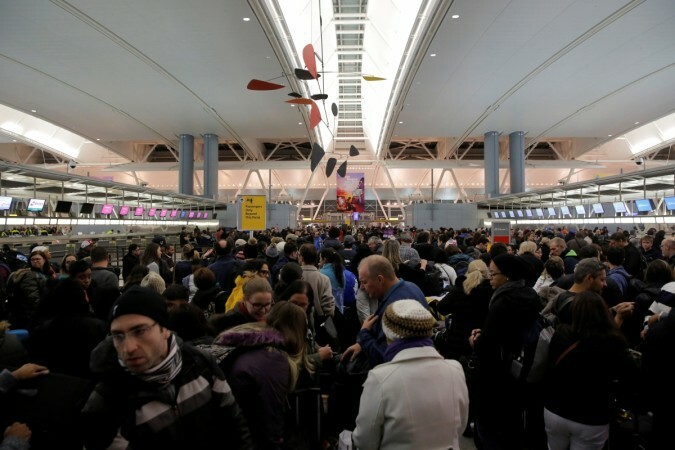 The storm is said to have led to the cancellation of at least thousands of flights with many passengers, according to FlightAware statistics. The world's largest airline with passenger traffic, American Airlines, has stopped its scheduled flights from operations due to the weather. The number of flights that are cancelled is said to be 270. Other flight companies like Delta Airlines and United Airlines have cancelled roughly 275 and 700 flights, respectively. Although the storm is not said to be as severe as the previous winter storm, Grayson, it has still had a major impact on airline operations. The cancellation of flights has reportedly led to millions in losses for the airlines. Due to the ongoing winter storm, the state of North Carolina and Alabama had declared a state of emergency on Tuesday. Texas has been without power due to the height of the winter storm as nearly 63,000 people have been affected, as per reports on PowerOutage.us. The winter storm has prompted schools to be shut down in states like Texas, Arkansas, Alabama, Georgia, Mississippi and Kentucky. According to National Weather Service, the storm is said to bring 7 inches of snow in Boston and up to 5 inches of snow in New York City.